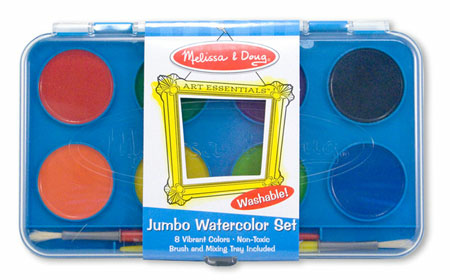 This first painting set helps teach color recognition and promotes the use of fine motor skills and hand-eye coordination. Just remove the page from the pad and use a container of water to moisten the paintbrush. Select the color to use and paint the picture. Images include dinosaurs, animals, a spaceship, a fire truck, an airplane and more.